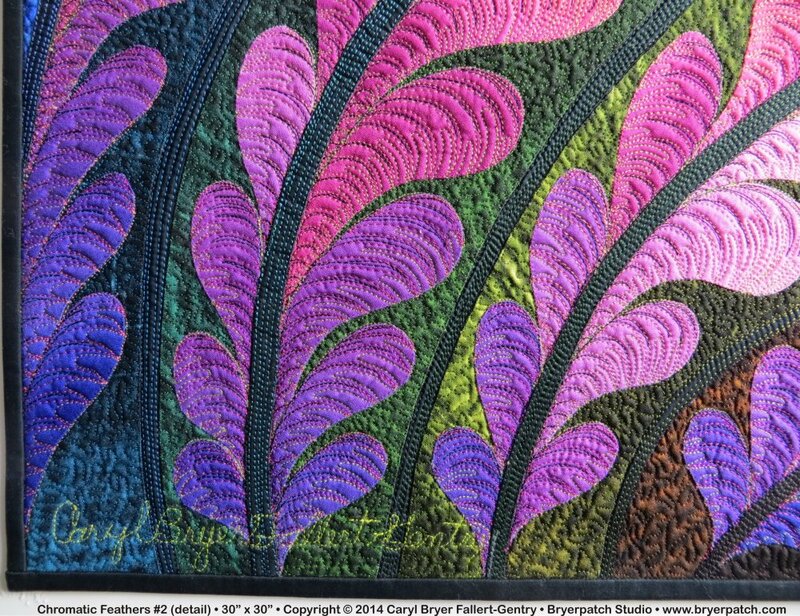 If you would like to purchase or exhibit this quilt, please contact Caryl privately. 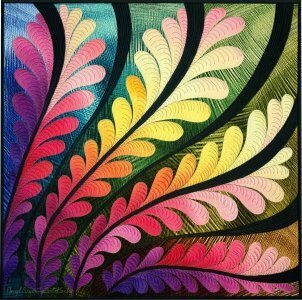 The design for this quilt began with a series of thumbnail sketches with wavy lines, radiating from a corner. 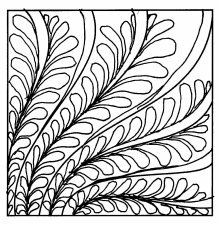 I penciled in connections in many different ways, and picked the ones I likes the best. 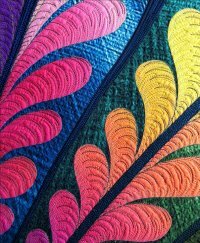 This is the second design in which I have used shapes drawn from traditional quilted "feathers". 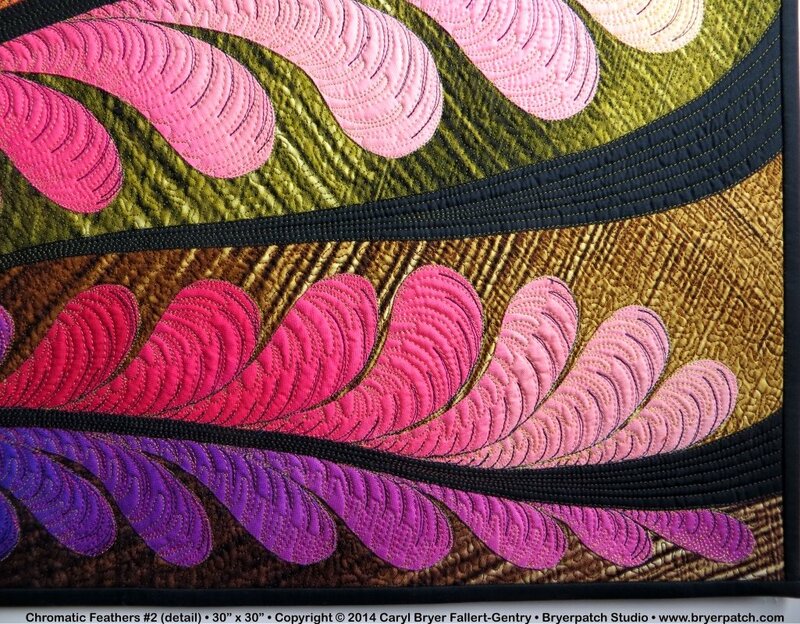 The feathers are pieced from four fabrics in my Gradations collection for Benartex. The background is pieced from eight different colors in my Electric Feathers collection. 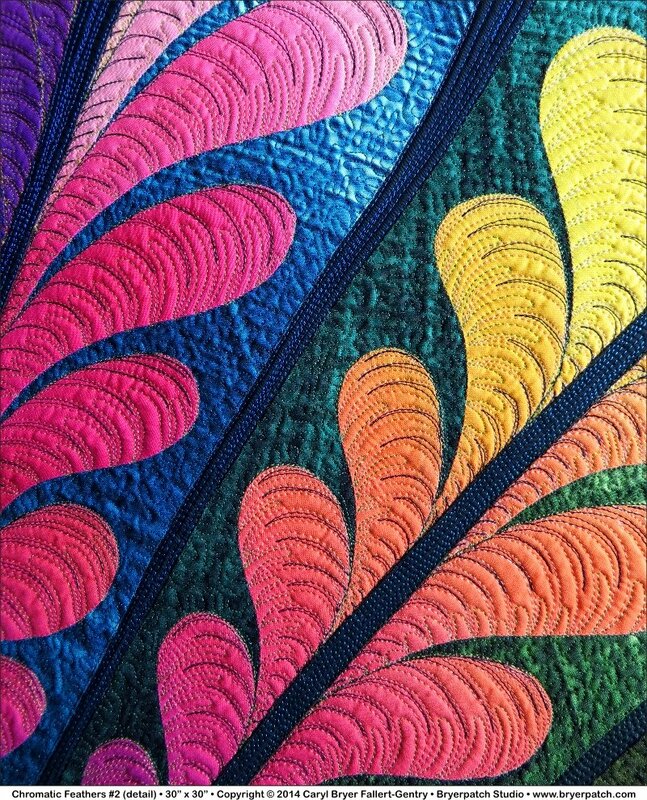 All of the curved seams in this quilt were joined using "Applipiecing", a technique I developed in 1989 to make curved seams fast, easy, and accurate. 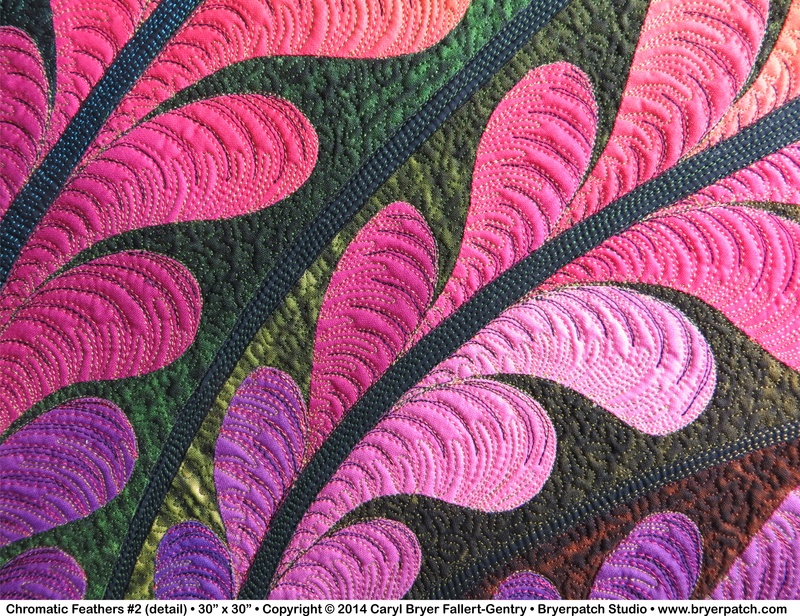 Instructions for applipiecing can be found in several of my patterns and workshops on CD as well as in my free online tutorial. 30 Quilts for 30 Years: Solo, traveling exhibition celebrating 30 years of making art quilts.